ROTC cadet Thomas Forte (’20) reflects on Sparta, the film 300, and American military culture. In the last few decades, the Spartan legend has come to be highly regarded in American culture, especially among athletes, gym-goers and military personnel. The image of an athlete or combat veteran sporting clothing marked with the infamous Corinthian helmet worn by Spartan hoplites, often colored red, white and blue, is an easy sight to picture for many: and why shouldn’t it be? The idea of a people who fought for freedom and rationalism, vowed never to retreat or surrender no matter the odds, and fought with extreme tactical, strategic, and martial prowess is one that has some level of appeal to almost anyone who supports America’s foundational values. Martial prowess, loyalty to the cause, and fearlessness in battle are all ideals that American troops hope to emulate, and one could easily draw parallels between the hoplite phalanx and the defensive line in football. Even the famous cinematic Spartans war cry of “Ahoo!” reflects US military culture, as each branch has its own unique call in a similar vein (to name a few examples, the Marine’s “Oorah!” and the Army’s “Hooah!”). But are these ideals the reality? To put it simply, not really. Movies such as 300 and its corresponding graphic novel have taken the most appealing aspects of the Spartan system, amplified some and adjusted others to better fit with American warrior culture. The realities of the Spartan system, while still appealing in many aspects, are quite unappealing in others and often clash starkly with American values. I would like to begin by first examining the ideal of martial prowess, both as seen in contemporary American culture and portrayed by the Greek historian Herodotus. For the American view, we look to the film 300 as the primary source of its inspiration. In it, we do see the Spartans depicted as a highly coordinated fighting force (46:45), but primarily as highly skilled individual warriors. One of the most iconic scenes of the entire film comes early on the first day of Thermopylae where Leonidas is depicted in slow motion, moving effortlessly through the oncoming Persians, slaughtering those in his path (48:04). The realities, according to Herodotus and other historians, certainly bear similarities to the 300 depiction, but place far more emphasis on the Spartans as a cohesive fighting force rather than highly skilled individual warriors, at least by comparison to the other Greek city-states. Probably the most telling story illustrating this point is that of the battle between the Argives and the Spartans over Thyreae, in which both sides sent a force of 300 men to decide who would be given control of the territory (1.82). In the fighting that followed, in which neither side had any tactical or strategical advantages, the battle ended with two Argives and one Spartan remaining. Had the Spartans been the uniquely and highly skilled warriors that 300 portrays them as, one would have expected a more lopsided outcome, but this battle shows that they weren’t necessarily superior on a man-to-man basis. On the other hand, when the Spartans fight as a cohesive unit using effective strategic and tactical advantages against their enemy, they gain massive success. We see this both at the battle of Thermopylae (7.211) and the battle of Plataea (9.62). In the Plataea excerpt in particular, Herodotus says that “Indeed, the spirit and strength of the Persians were not inferior, but they were without armor, untrained, and unequal to their opponents in tactics” (9.62). Here, we see Herodotus clearly stating that the Spartans did not have any superiority in physical strength or skill, but rather superiority in military thinking. This is further communicated by the fact that Spartan generals were put in charge of the Greek alliance against the Persians. While talking about the Spartans as warriors, it is also important to note that the film and the ancient sources, namely Herodotus, differ on the actual motivations behind Spartan heroics. In 300, the film seems to show the Spartan’s willingness to fight to the death as coming from a love for freedom and a total lack of fear in battle; this is probably best shown through Stelios’ “beautiful death” speech (37:33). Herodotus, on the other hand, certainly acknowledges that Spartans have fear, but they stay and fight because their fear of shame is greater than their fear of death. Between 7.229 and 7.232, Herodotus mentions three different Spartans and their actions at the end of Thermopylae; the first two are Eurytus and Aristodemus. Both were away from the final battle because they were recovering from a “severe disease of the eyes,” which sounds similar to PTSD-induced hysterical blindness, a phenomenon alluded to during Herodotus’s coverage of the battle of Marathon (7.229). In modern times, this sort of thing would be a valid excuse for leaving the fight, but not for the Spartans. Eurytus’s fear of shame is so great that he returns to the fight, where he is soon killed, despite his previous PTSD attack. Aristodemus instead decides to return to Sparta and is treated with so much shame that his fellow citizens refuse to speak to him until he is able to redeem himself at the Battle of Plataea (9.71). The third Spartan mentioned is Pantites, who survived Thermopylae simply because he happened to be delivering a message during the final engagement. Still, he was shamed so heavily on his return that it drove him to take his own life (7.232). Through these examples, it is easy to see why Spartans chose to die on the battlefield rather than risk disgrace at home. Probably the starkest differences between the American image of Sparta and its realities come in that of the city itself and its culture. The film 300, again being the catalyst for the American view, shows us only the aspects of Spartan society necessary for the story, but also plays with them somewhat to better fit with American ideals. The most prominent feature of Spartan society displayed in 300 is the Agoge, which the film gets right with the exception of a few key details. The harsh reality of the Agoge depicted in 300 is correct. At the age of 7, Spartan children were indeed taken away and forced to fight and steal as part of their training (2:35). This is confirmed by the story of one boy who, rather than be caught stealing, allowed a fox cub that he was hiding under his clothing to claw him to death (Plutarch, Life of Lycurgus 18). One key aspect left out of 300’s depiction of the Agoge was the practice of pederasty, where at the age of 12 the boys were given a young adult male lover, who would help guide their education, but also interact with them sexually (this practice was also a part of a girl’s education, but to a lesser extent) (Paul Cartledge, The Spartans [New York: Random House, 2003], p. 69). Although key to the Agoge system, it is obvious why this was left out, as the idea of militarized, state-enforced homosexual pedophilia is a repulsive one to the overwhelming majority of modern western citizens. It certainly is to me. From a governmental standpoint, 300 also does a fairly good job depicting Spartan society, except when it comes to the Ephors. In the film, the narrator calls them “Diseased old mystics… worthless remnants of a time before Sparta’s ascent from darkness” (16:51). The reality of the Ephors, however, was much different. Rather than the “diseased old mystics” of the film, the Ephors were an executive council of 5 men in charge of upholding the laws of Sparta (Cartledge, 70) and, according to Plutarch, were “…the secret of Spartan success and stability” (7). Although this was done to enhance the film’s conflict between reason and religious fanaticism, I personally think that keeping the Ephors as a sort of Spartan supreme court would have better embodied western values. Then again, having Leonidas go against the wishes of the Ephors in that case would probably have been somewhat looked down upon by the audience. The main differences between the film and reality are most apparent in the elements of Spartan society that 300 leaves out. Probably chief among these were the Spartan emphasis on conformity and classlessness, and its economic system. Under the leadership of King Lycurgus, Sparta did its best to economically isolate itself from the rest of Greece, as well as to eliminate both luxury and, consequently, class. The land surrounding the city was redistributed into 39,000 plots, of which 9,000 were divided evenly among the Spartans (Plutarch, 8). The rest were given to the Perioeci, which were peoples living in the vicinity of Sparta who were subject to Spartan law, but had no say in Spartan affairs (Cartledge, 73). The Spartans also had Helots, who were slaves usually captured during war (72). The Spartans all dined at common messes, which were groups of around 15 men that all ate together and took turns providing the food for the meal (Plutarch, 10–12). They even had their own currency, which was made out of iron, and thus unusable anywhere other than Sparta (9). 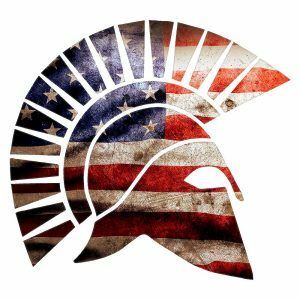 Freedom certainly comes to mind when thinking of Sparta, but by looking at their economic situation it’s very clear to see how the Spartan idea of freedom differs from the American one. America’s focus on economic and social individualism leads to a view of freedom as “freedom to…”; freedom to own what you want, do what you want, etc. On the other hand, Sparta’s communist-like emphasis on classlessness and conformity creates more of a sense of “freedom from…”; freedom from class, freedom from the dangers of luxury, etc. This sense of “freedom from…” is also why they seem to be able to justify having both second class citizens and slaves in their territory. Sparta also had a very relaxed approach to marriage. Although it was essentially mandatory to get married (you were publicly shamed if you didn’t), husbands and wives did not live in the same households and it was common for men to trade their wives around in order to create better and stronger offspring (Plutarch, 15). This runs highly contrary to western culture, which detests state incursions into the love life of its citizens and values the sanctity of marriage; hence the marriage of Leonidas and Gorgo followed western ideals in the film. As a final note on Spartan society, it is important to remember that Plutarch, the primary source used for most of the above information, envies the Spartan system with its blend of both autocracy and democracy along with its emphasis conformity, sacrifice and obedience to the state. His example of the boy and the fox is used almost more as a way to exemplify the effectiveness of the Agoge rather than to criticize it. Plutarch’s praise of the Spartan system does an excellent job of informing the reader of the differences in thinking between the modern day and the time of ancient Greece. Having now learned much about the realities of Sparta as compared to the Spartan legend in American culture, I feel I can provide coherent thoughts on the topic. As an ROTC cadet and someone who thoroughly embraces both traditional American values and our society’s view of the Spartans, I come from the group of people most influenced by this contrast. When it comes to the realities of Spartan military culture, I personally prefer the emphasis on tactical and strategical superiority over individual martial skill. As an officer in training, it is more important to me to be skilled in those areas, while still embracing the “never retreat, never surrender” attitudes that come along with Spartan military culture. This attitude also shares parallels with that of the Army’s code of conduct, which states in article II: “I will never surrender of my own free will. If in command I will never surrender the members of my command while they still have the means to resist.” Even Herodotus’s words about the motivations behind Spartan heroics are ones that I can understand in some aspect, as group dynamics was an important factor in determining the sizes of the various levels of the Army’s chain of command; the fear of letting down or abandoning one’s comrades is certainly nothing to be taken with a grain of salt. The classlessness of Sparta and its ideals of conformity are where I start having problems. For the military, conformity is a good thing. If the culture and attitudes of the organization are shared among its members it is much easier to get everyone working together to achieve a common goal, but this is not the case for regular American society. We care very deeply about maintaining and expressing our individualism, and part of that is economic freedom and freedom of expression. For this same reason, I also don’t support the Spartan’s treatment of the Perioeci, or the taking of Helots. To conclude, the Spartan legend as shown in the film 300 and the realities of the culture share similarities, but also contrast each other rather harshly the deeper one digs. While the Spartan idea of freedom may clash heavily with ours, as well as their emphasis on the collective rather than the individual, many of the basic tenants such as military prowess, fortitude, never retreating or surrendering, are maintained in both depictions and are highly beneficial to Sparta’s militarized society, the warrior culture of the US Armed Forces and, to an extent, regular American life.